These affordable foreign freehold modern condominiums are available for sale or rent, and perfectly situated on a peaceful gentle hillside in Chaweng in the North East of the island, conveniently close to beaches, restaurants & shopping malls. 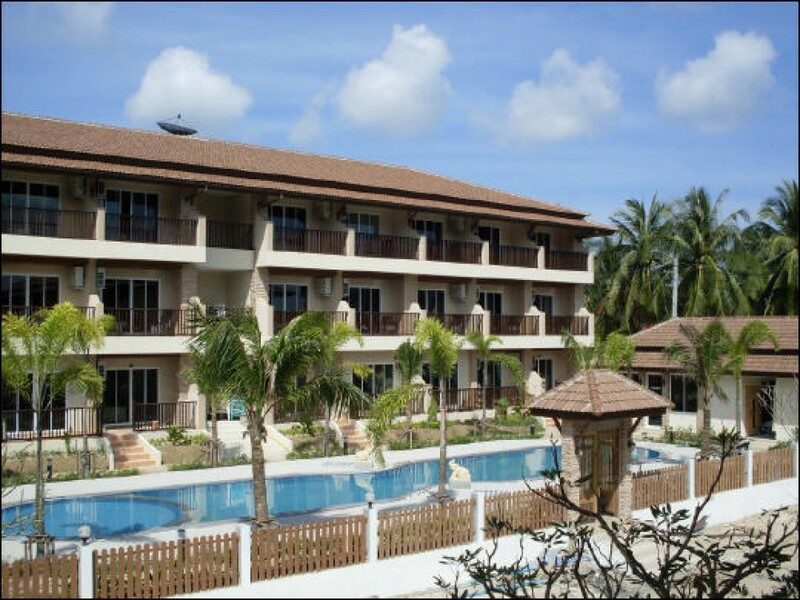 This boutique tropical resort complex comprises of 3 low-rise buildings, boasting 2 large communal swimming pools, with showers, sauna, steam-room, Jacuzzi, fitness & games room. The project sits only a 2 kilometres minutes away from the soft sands of Chaweng Beach. Featuring 70 modern apartments in an array of options and sizes, from spacious stylish studios, to pool access 1 & 2 bedroom suites. All the first floor suites have glass fronted entrances that lead directly to the pools and with third floor rooms offering inspiring mountain views. With an affordable budget for comfort tropical-modern living, the whole resort complex is fully WiFi equipped, so you can surf the internet relaxing by the pool, lounging under the whispering palm trees in your own piece of tropical paradise.